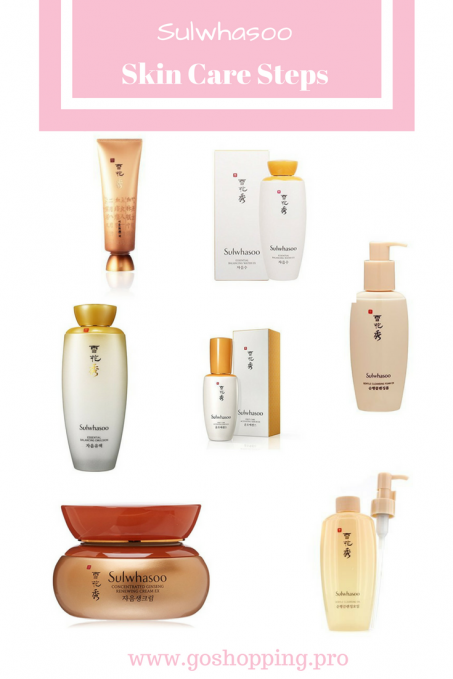 As one of the best and historical Korean skincare brands, Sulwhasoo earned high reputation both in Korean and foreign countries. Starting from 1966, Sulwhasoo insists on infusing Korean medicinal herbs(for example ginseng) with high technology. Due to the excellent effects of these products, Sulwhasoo becomes popular and developed a few of product lines to meet different needs of customers. It is always advised to use a kit of skin care products from the same brand to gain extra benefits. Hence, you may want to try lots of Sulwhasoo products at the same time. This article will explore and correct Sulwhasoo skin care steps (routine) and tell you how to use them. In Korean cosmetics world, it is normal to separate make-up remover from the cleanser. The cleansing oil is the crucial step to dissolve makeup and sunscreen. The formula of Sulwhasoo gentle cleansing oil includes Jobi seed (other popular skin care products such as hatomugi skin conditioner and Albion skin conditioner also use this ingredient) and apricot kernel oil. These natural properties will remove makeup gently and leave you a hydrating skin. How to use: Spread 1-2 drops of it across the dry face and massage for a while. Wait for makeup to break up, then use your wet hands to emulsify and rinse off. This step is to remove extra residues such as dead skin cells. This one is a very good cleanser which can be used both in the morning (click to see other good gentle face cleansers for morning wash) and after cleansing oil. It contains duckweeds and chestnuts to clean and moisturize your face. This face wash is so gentle that you will never feel strapped. How to use: apply 1 pump of it in the palm and mix with water to foam it up. Then rinse off with lukewarm water. If you are new to Korean beauty, you may find this serum is a little bit strange. Because serum is usually been used after lotion. However, it is very popular in Korean and Japanese skincare world to use the activating serum after cleanser. The purpose is to improve the effectiveness of other skin care products followed. This Sulwhasoo Activating Serum is one of the best sellers and infused with JAUM Balancing Complex—an original formula to restore the skin balance. It helps to generate glowing radiance and is safe for sensitive skinned people. 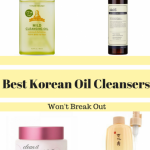 It is a must-have in Sulwhasoo skin care steps. How to use: Apply 2-3 pumps of it on the face and massage it with fingertips. Use it after cleansing directly. This balancing water is a kind of “gel-type” toner. The crucial ingredients include Matrimony Vine and Purslane. Matrimony vine is effective on smoothing and calming the skin. Purslane is known for providing intensive moisturizing. Hence, this balancing water is designed for hydrating and smoothing your skin. How to use: Use a proper amount of it across your face after Sulwhasoo First Care Activating Serum. 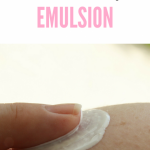 This emulsion is lightweight so you can use in Summer or during the daytime. If you have oily skin, it also can be used as a night cream. This one is formulated with Mountain Peony extract, leaving you with softer, smoother skin. How to use: After balancing water, apply a moderate amount of it on your face and gently massage for a while. 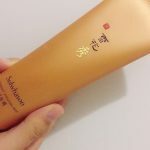 This face cream is the classic product of Sulwhasoo and one of the best Korean moisturizers. It is suitable for dry skin and other skinned girls can use it as a night cream. This cream represents Sulwhasoo’s achievement on ginseng research and does its job well on reducing aging signs. Besides, it offers enough moistures so that I will use it in Winter. 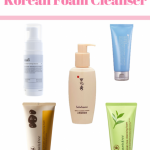 However, you also can use other Sulwhasoo moisturizers to replace it. This is the last step of your daily Sulwhasoo skincare routine. Never forget to use eye cream because the skin of eye area is so fragile that wrinkles will jump out easily. With the care of ginseng, your eye skin will get double protection. How to use: After emulsion or cream, take a small amount of eye cream by padding with fingertips. If you want to do a deep cleansing, you can use this clarifying mask. It will form a film on your face and you have to peel away the mask from your face after 30 minutes. It will remove your skin dirt and dead cells while leaving you bright and clean skin. However, it may not suit sensitive skin type. How to use: Use it at night.Apply a thick layer of it on your face after cleansing and remove it 30 minutes later. Overnight face mask to vitalize and soften your skin. The texture is thick and comes with a ginger scent. You can read my review for this Sulwhasoo Overnight Vitalizing Treatment here. How to use: Use it after clarifying mask or alone as the last step of your night skincare routine. 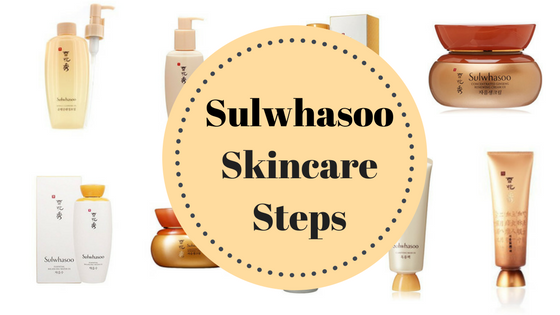 All in all, this is Sulwhasoo skin care steps you need to know. Note that you should take activating serum before balancing water.